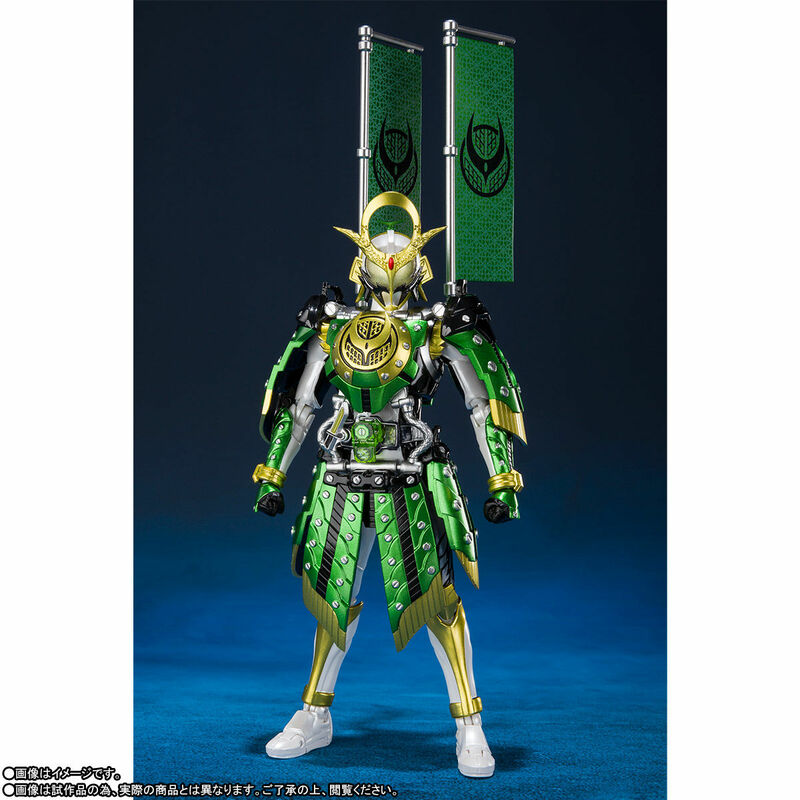 Available for pre-order through our sponsor Tokullectibles, Premium Bandai announces S.H. 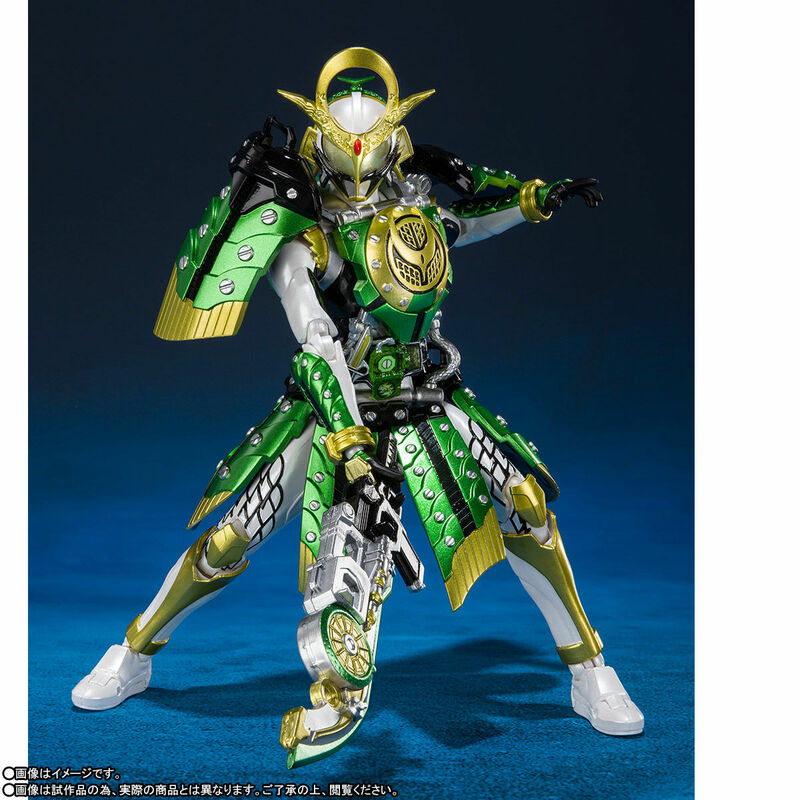 Figuarts Kamen Rider Zangetsu Kachidoki Arms from the Kamen Rider Zangetsu stage play based on Kamen Rider Gaim. 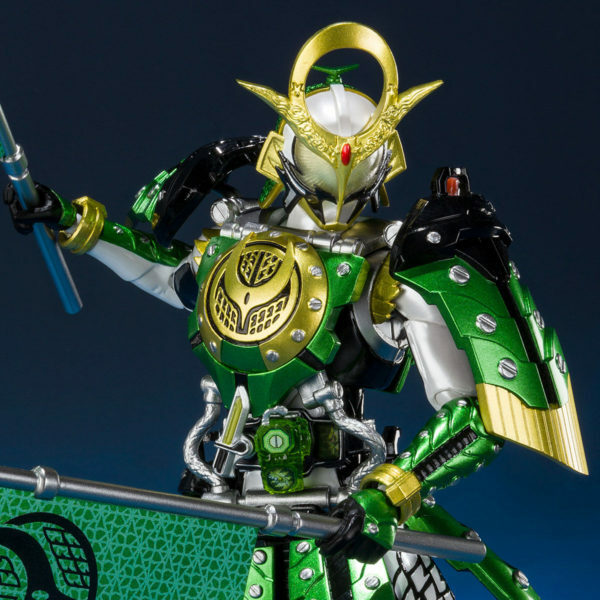 Premium Bandai revealed the S.H. 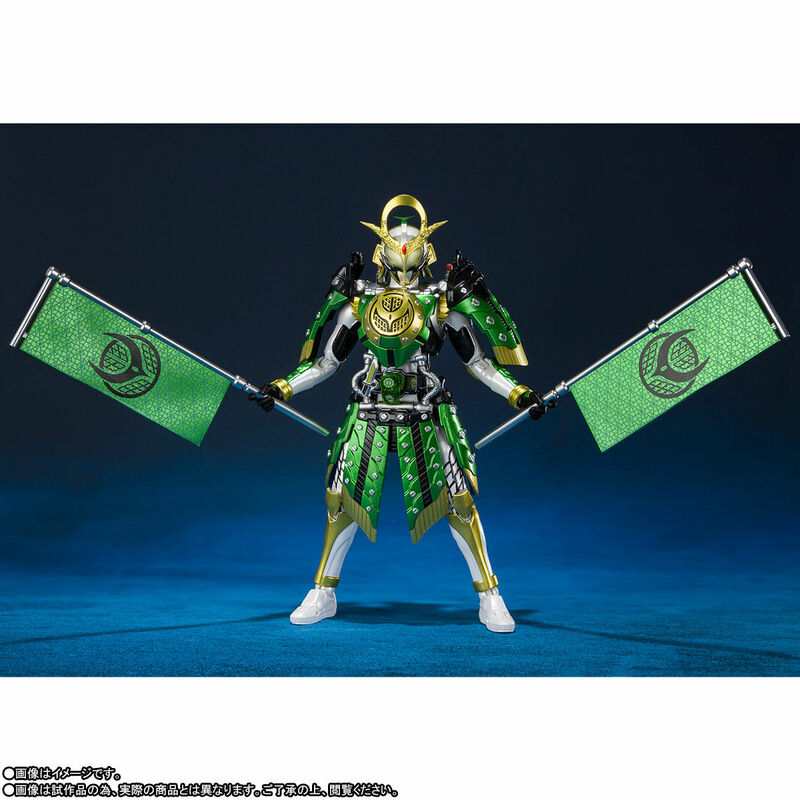 Figuarts Kamen Rider Zangetsu Kachidoki Arms which is an exclusive form that appears in the Kamen Rider Zangetsu stage play. 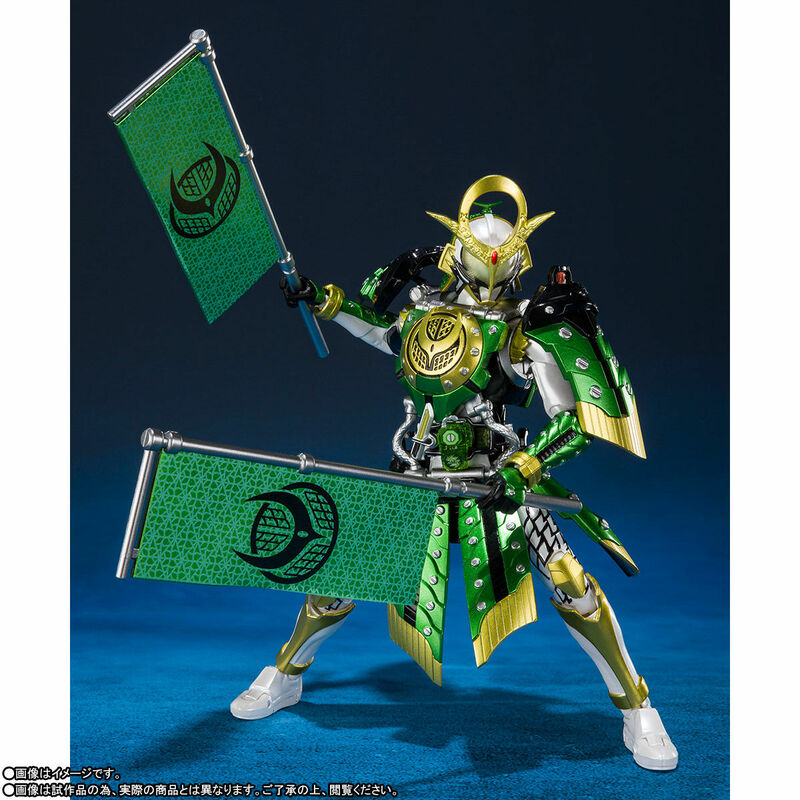 The figure comes with two types of replacement wrists for both sides, a sword weapon, and two flags. It is a Japan Only item which is selling for 6,480 yen and scheduled to ship in December 2019. For those not located in Japan, Tokullectibles has opened pre-orders on their site for the figure. There are several payment options including a discounted Early Bird price of $80, a Deposit of $40, or Full Payment of $86. Shipping is free within the U.S. as well. 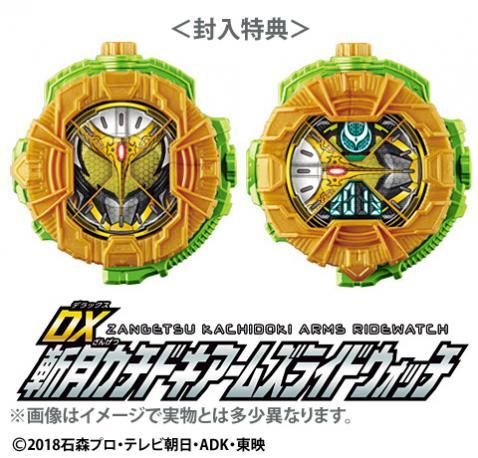 The DX Zangetsu Kachidoki Arms RideWatch and Stage Show DVD/Blu-ray set is also available for pre-order through Tokullectibles. Purchasing options for the Blu-ray and DVD are available. Both products release on October 9th, 2019.